If you've read my partner in crime William's most recent blog post, you already know I gave him a smartphone. I knew he wouldn't buy one for himself--he's resisted the idea of having any kind of mobile phone for as long as I've known him. He's the only person I know who's fought being dragged, kicking and screaming, into the twenty-first century harder than I did! But the need for a digital camera finally won out. Now, I think he actually likes it! When I got my first cellphone ten years ago, I had a few reservations--okay, I had a lot of reservations. The idea of anyone being able to call me wherever I was did not appeal to me at all. I left the house to get away from our phone--I didn't want to take it with me! Collin, however, did want one. For him, it made sense. He was working evenings at the time, and had to walk several blocks from the bus stop to our place. He needed to be able to call home in an emergency. And after seeing how convenient it was, I decided to get one for myself. Our first cells were simple phones--just phone calls and text messages. The next phones we bought, three years later, also had cameras and very limited web access. 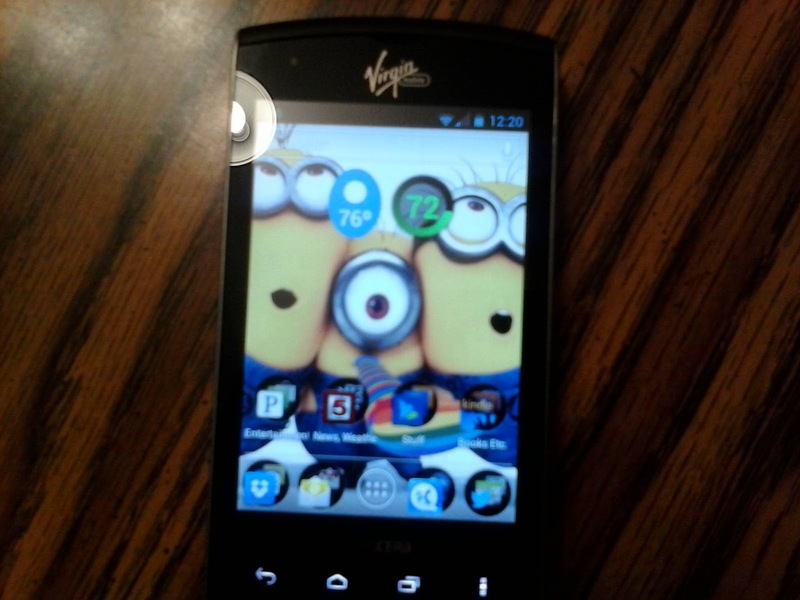 In a few years, we traded up--I got an HTC Dash from T-Mobile, a great little phone that had some very useful features, like a video camera, digital voice recorder and music player. It also did email. 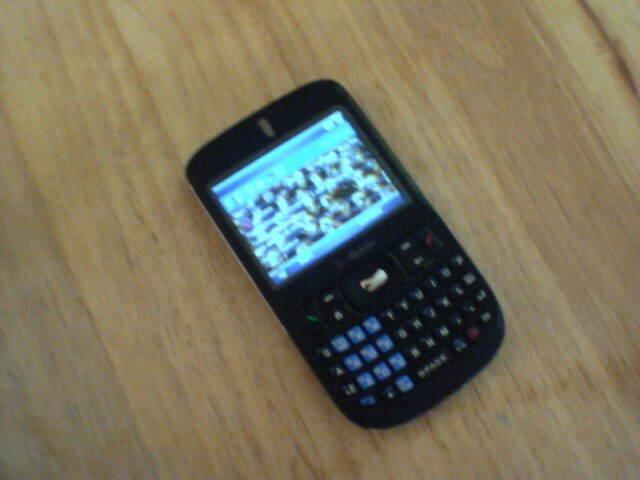 Within a year, we moved up to our first smartphones, the Samsung Intercept, which had too little memory for my needs, so we soon traded up to the Kyocera Rise, an inexpensive, easy to operate phone which has too many apps to list here. I can edit my manuscripts, read ebooks or magazines, listen to music or audiobooks, take photos or video, do email or text messaging, catch up on the news and weather, get times for movies or public transportation, post to Facebook, Twitter--and my blog. It reminds me of appointments and birthdays and tells me when to take my meds. I keep copies of all important documents and works in progress on it. My smartphone is smarter than I am! I use mine for everything but making phone calls...most of the time! I'm definitely having fun with the smartphone, figuring things out. And yes, I was dragged kicking and screaming! Yeah--I'm trying to remember when I first suggested a smartphone to you. Also trying to remember how many times you shot the idea down! Ah, the things it'll do! Um. It kind of bothers me I'm not smart enough to figure out exactly HOW smart my phone is! 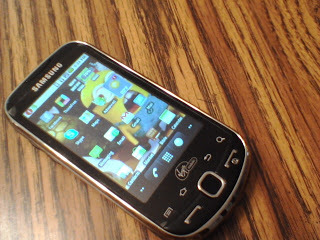 I finally traded up for a smart phone (Samsung no i-phone) and do love it. I waited almost as long as William, I just got mine in January. I don't do all the things you do with your phone but it is really nice. I'm completely dependent upon my phone and my Kindle. If I lost them, I'd just turn into a blabbering idiot who doesn't even remember my own name! Same here! My whole life is in my phone! Haha! I love The Big Bang Theory Norma, I never want o have phone that's smarter than moi Norma :) I was like William..fought it for ages, now I never leave home without it ! I'm way behind in cell phone evolution, still got a plain pocket phone. The Big Bang hasn't caught me yet! You're probably right about the phones taking charge.